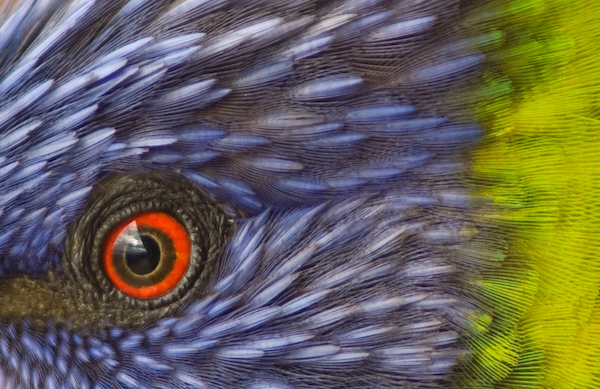 I wanted to capture this image because it not only showed the detail of the lorikeet’s eye - which in itself is a great subject - but it also has the elements that symbolise all things photographic. Red, green and blue, these are the three filter colours (they are the primary colours of light) on a digital sensor. Also the eye has a lens and an iris (aperture) just like a camera does - no wonder I decided to use this image as my logo!